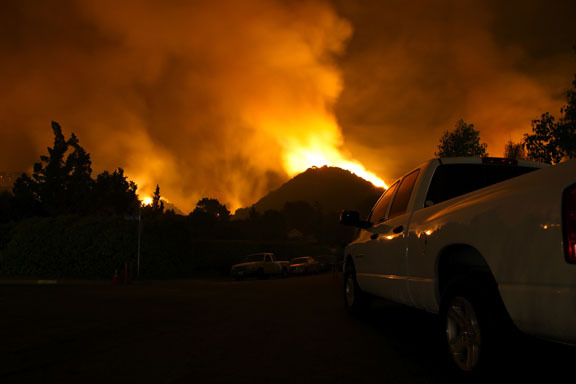 Fires cost Californians more than $800 million annually. Last year was one of the worst wildfire years in U.S. history, torching a region the size of Massachusetts and Connecticut combined. Experts are predicting that this year will be just as destructive in California. With high rainfall in early winter followed by dry and warm conditions in the spring, this fire season will likely begin earlier and last longer than the average season. If you live in a high-risk area, contact your local fire department for an assessment of fire conditions in your community. Fire officials can survey your neighborhood to determine your risk of wildfires. Remove any dry shrubs or tree branches around your home. You should not have any branches hanging over your roof and all rain gutters should be regularly cleared of dead leaves. If a fire does occur, be sure to follow any orders to vacate from state and local authorities. In particular, stay indoors if you notice smoke or ash in the air. Be sure to close all windows and turn your A/C to recirculate. If you live in a fire zone you may need additional insurance that your standard homeowners’ insurance policy doesn’t include. If you have questions about your current policies and wildfire coverage, please call 310-828-9662.